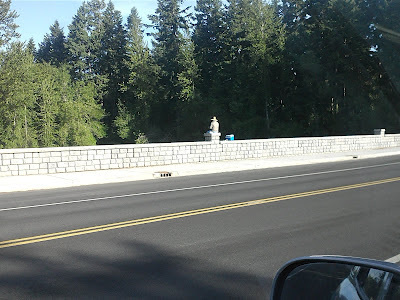 Put me in the camp of those who think the City of Lacey made a mistake when it built the new Carpenter Road and put a wall between the drivers and Lake Lois. Those driving on the new Carpenter Road can no longer see Lake Lois because the wall separating the roadbed from the lake is too high. That’s what happens when engineers design a bridge and leave out the public in the review process, although I’m not certain a novice would even have understood the wall design even if they had seen the plans. 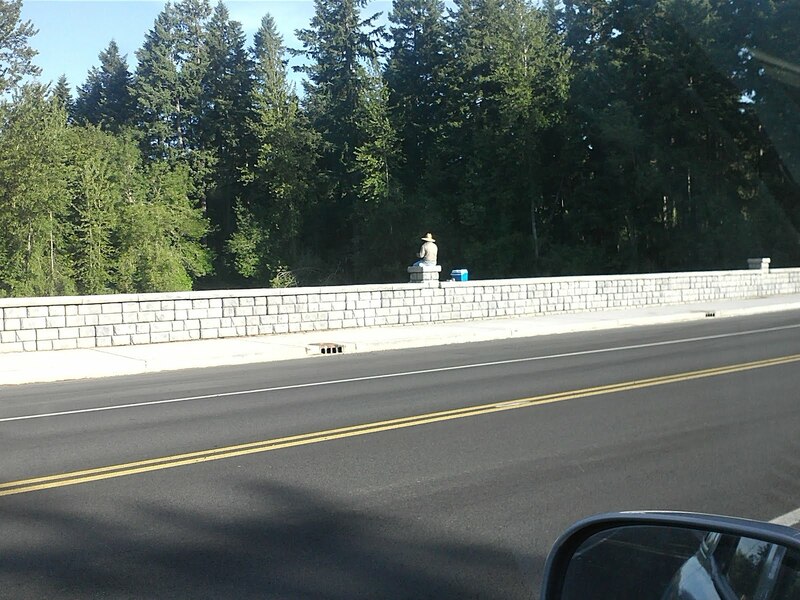 I drive that part of Carpenter almost every weekday, and since the construction finished, I've noticed a lot more people taking advantage of the new wall (as you can see above) as a defacto fishing pier.